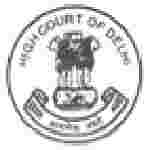 Delhi High Court recruitment 2018 notification has been released on official website www.delhihighcourt.nic.in for the recruitment of 11 (eleven) for Delhi Higher Judicial Service Examination vacancies. Job seekers should apply from 31st January 2018 and before 15th February 2018. Educational Qualification: A person who practiced as an Advocate for not less than 7 years. Age Limit: 35 years as on 01.01.2018. Fee charges: Applicants who wanted to participate for Delhi High Court should pay the below charges through online mode (Debit or Credit Card / Net Banking). Interested and eligible aspirants may apply online through the website www.delhihighcourt.nic.in from 31.01.2018 to 15.02.2018.